Delightful Livability. 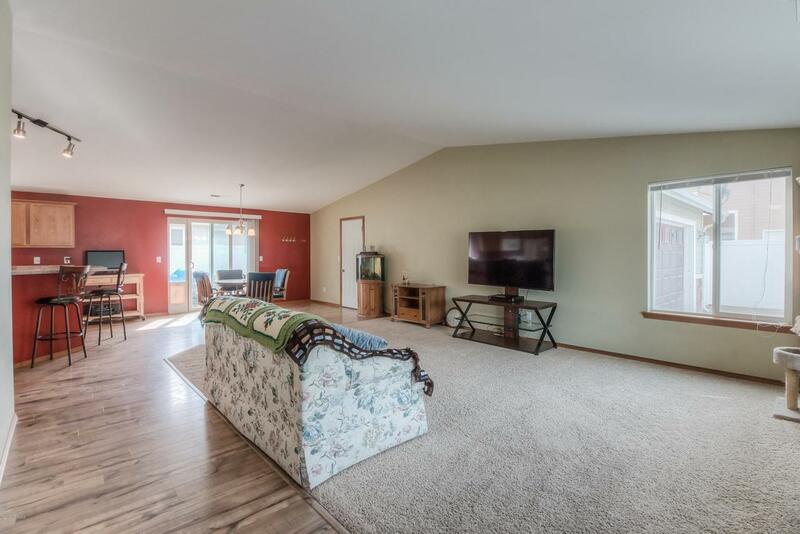 Spacious rambler home with open concept and vaulted ceilings. The entry opens to the living area, dining area and kitchen. The kitchen has plenty of cabinets, a large pantry and an island which also serves as an eating area. 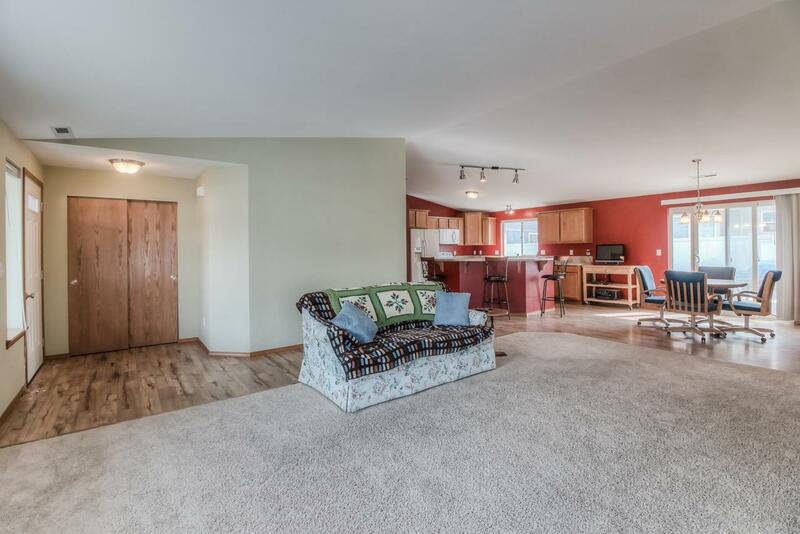 Wide hallways lead to 4 spacious bedrooms and hall bath with double sinks, linen closet and separate tub/shower/toilet. The master bedroom has a walk-in closet and a master bath with double sinks, a garden tub and shower. Outside is a patio and fully fenced backyard.